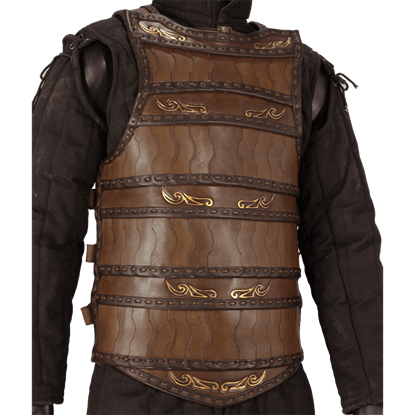 Are you looking for quality reenactment armour to fit your Scottish or Celtic character? 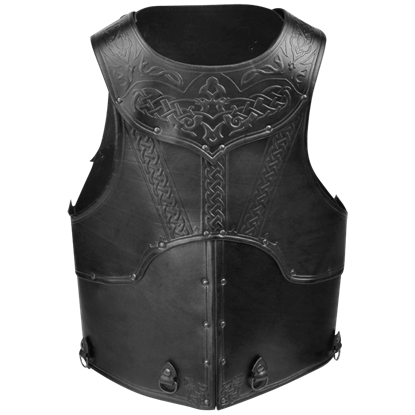 We carry fully functional Celtic and Scottish armour in leather armour and steel armour varieties. 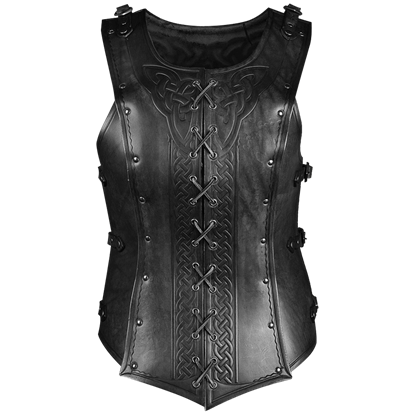 Many pieces of our Celtic armour are decorated with Celtic crosses, Celtic knotwork, the tree of life, and other iconic Celtic symbols. 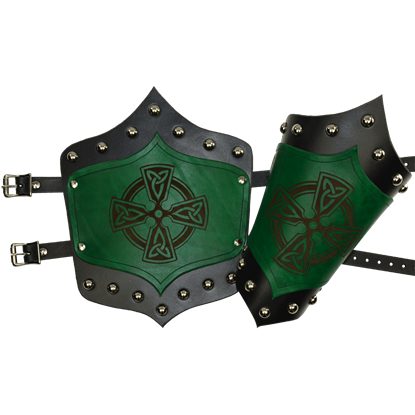 Our Celtic and Highlander armour includes an assortment of leather arm bracers, wrist guards, lamellar body armour, and Celtic helmets. 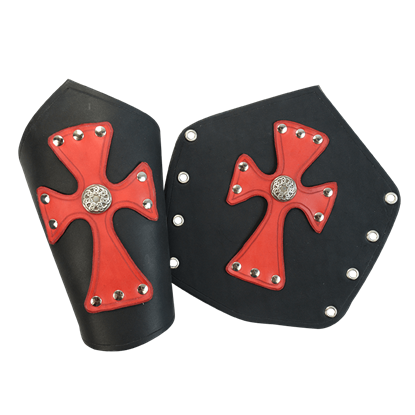 Every historical reenactor or LARPer needs some sort of protection on the battlefield, and these pieces are great picks. 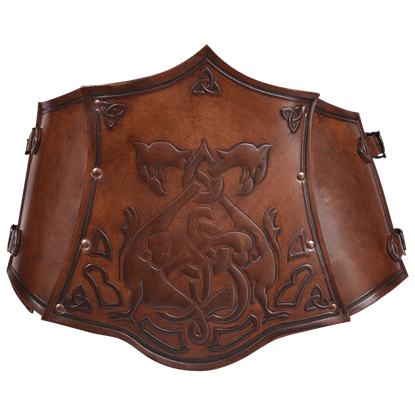 Our Celtic and Scottish armour comes in a variety of sizes and colors to appeal to anyone fascinated by these ancient cultures. 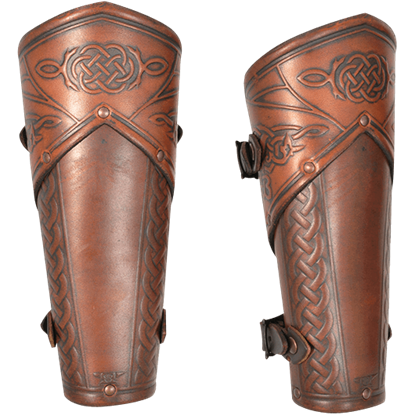 Celtic warriors, and Celtic warrior reenactors, know that protection of every body part is vital during battle. 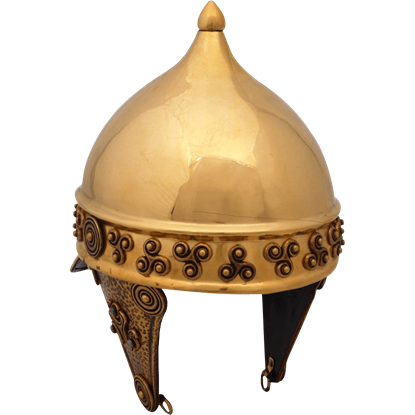 The Brass Celtic Helmet is ideal protection for your head in your historic ensemble, with its unique shape and designs. 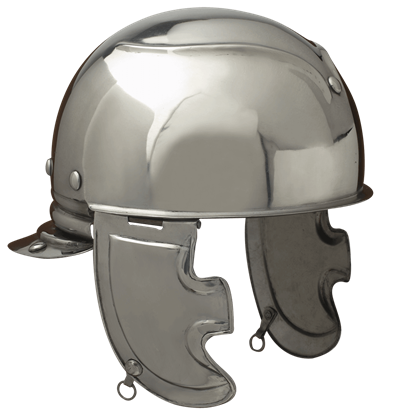 The Celtic Coolos Helmet is a variation on the classic coolos style of helmet. A traditional coolos helmet features a rounded appearance, with a flared back. This helmet matches that classic design but also adds hinged cheek guards. 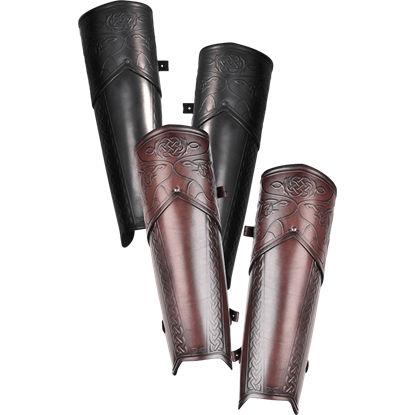 Fight bravely for your clan in a battle worthy of historical legend or become a mystic warrior of a fantasy realm while wearing the Celtic Mantikor Leather Greaves. 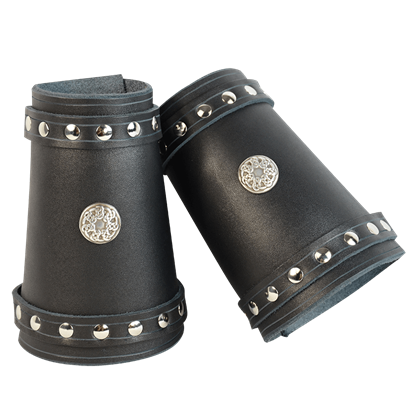 This fine pair offers protection to your shins during LARP warfare.